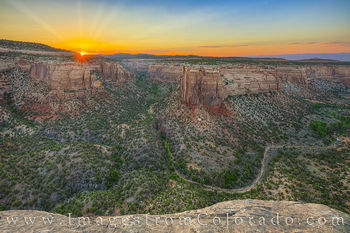 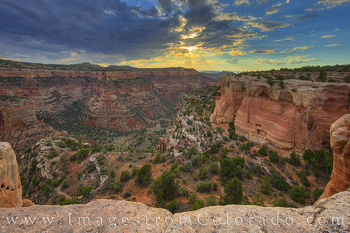 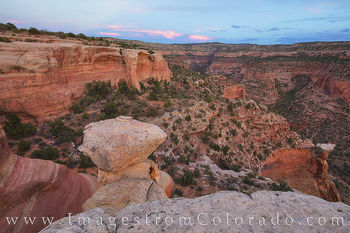 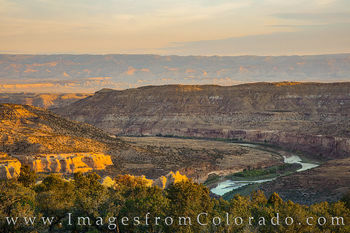 While Colorado National Monument sees relatively few visitors compared to other national parks, another beautiful area sits just west of these canyons and is almost unknown – Rattlesnake Canyon. 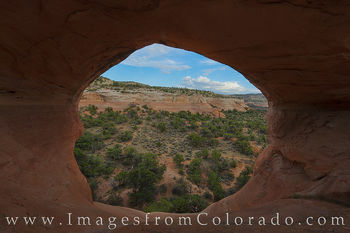 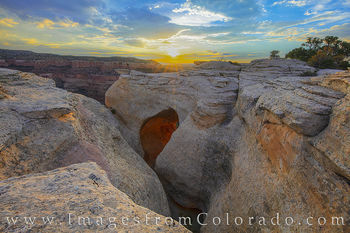 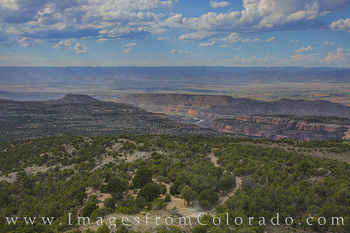 The area is accessible mostly by 4WD, high clearance vehicles and leads to Rattlesnake Canyon, arches, and trails and is part of the Black Ridge Canyons Wilderness, which in turn is part of the McInnis Canyons National Conservation Area in western Colorado. 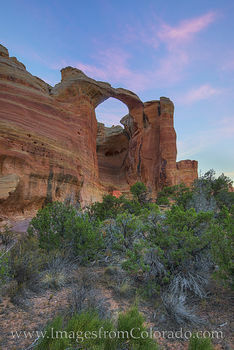 A hiking trail to the arches is an option, but the hike is over 15 miles round trip and 3,000 vertical feet in elevation gain. 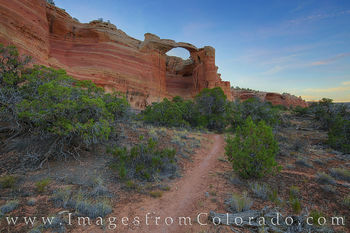 The 4WD drive road, alternatively, is brutal, requiring a sturdy, high clearance 4WD to withstand the beating given out by the rocks, boulders, and craters on this road. 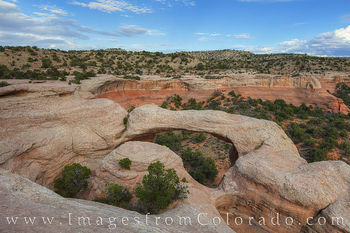 The last mile took nearly 30 minutes to traverse! 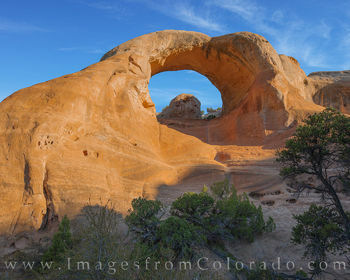 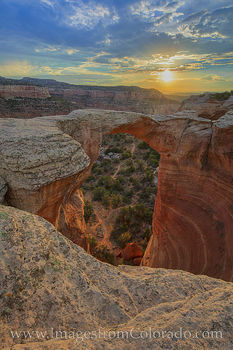 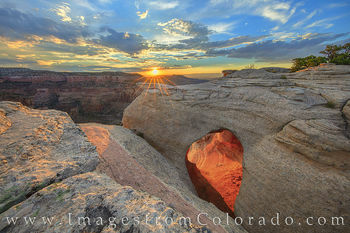 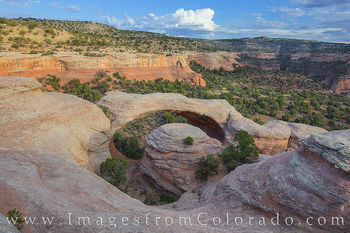 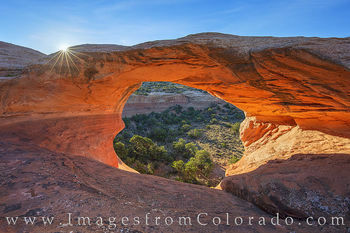 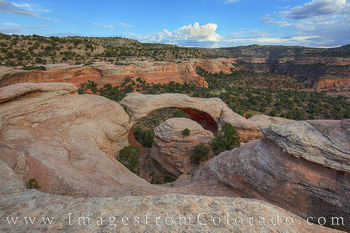 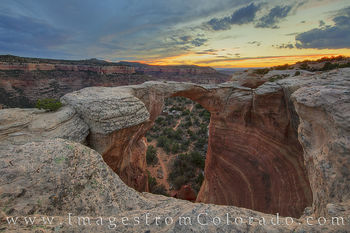 But with arches such as Cedar Arch, the iconic Rattlesnake Arch (also known as Centennial or Akiti Arch), and Hole in the Bridge Arch, the effort to arrive at this unique Colorado location is worth the effort. 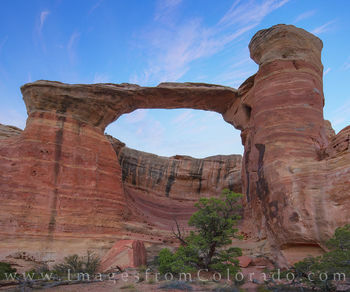 (I should note here in researching arch names, it seems each arch as several names, so I don't claim to be an authority of the officialness of each named arch!) 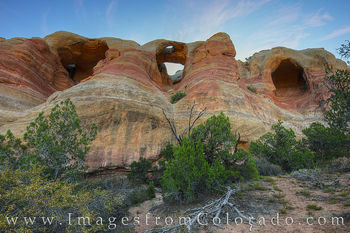 Rattlesnake Canyon contains 9 arches, the second highest concentration of natural arches in the United States – second only to Arches National Park in Utah. 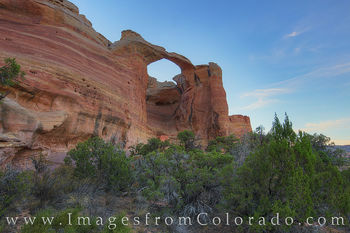 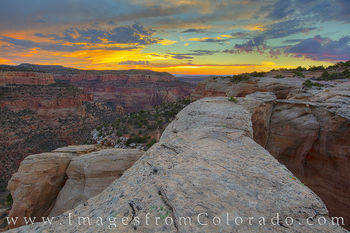 From my perspective, I enjoy exploring and photographing the reds and oranges of the rocks in contrast with the greens of the Pinion and juniper pine along with morning and evening skies. 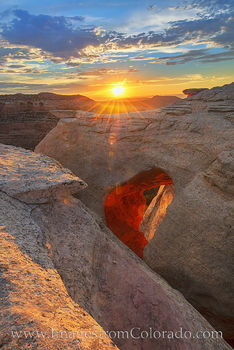 The ever changing light makes every outing a bit different. 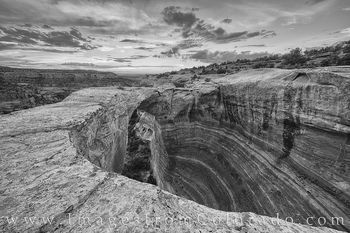 All images are copyrighted by © Rob Greebon Photography No files or written content found within this site may be used or reproduced in any form without the expressed consent of Rob Greebon. 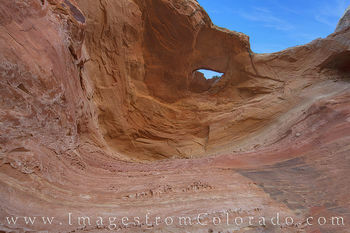 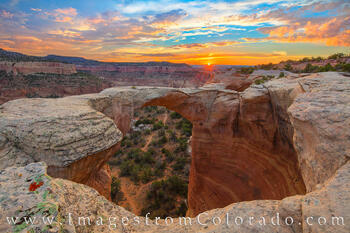 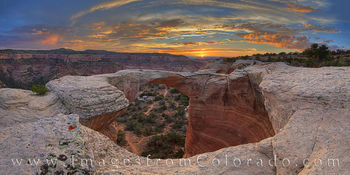 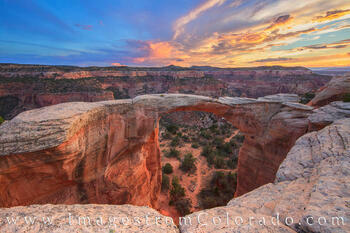 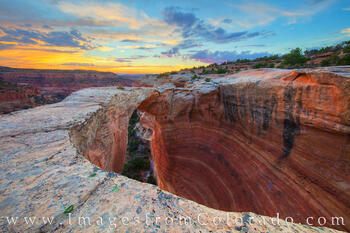 If you have any questions about these photographs from Rattlesnake Canyon, please do not hesitate to contact me.